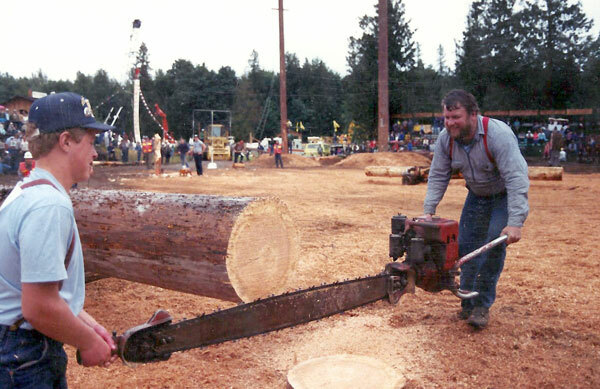 This contest has the least number of rules of any event in the Log Show. The idea is to cut off the end of a log in the fastest possible time. Any piece of equipment that can be carried in by two people is allowed. Some of the saws you will see will represent an investment of thousands of dollars. The time keepers are real important here because a tenth of a second makes a great difference.